According to WSFA, the T-100 announcement is expected within the month. The T-100 is an advanced Air Force training jet, and the project would net hundreds of jobs. Watch the full news report by clicking the link below. Click here to view the news report on the WSFA website. Tuskegee, AL - The Leonardo aircraft manufacturing facility that’s slated to be built in Tuskegee would have a vast economic impact across Macon County and beyond, according to key local officials supporting the project. The global aerospace and defense firm’s plans to produce the T-100 jet trainerat Moton Field would create a ripple of new jobs and investments along the Interstate 85 corridor in eastern Alabama. The company must first win a U.S. Air Force competition for the next-generation training aircraft, an effort that has galvanized communities across the region, said Joe Turnham, a strategic consultant for the Macon County Economic Development Authority. All of the activity would boost local revenue for the city, county and local schools. Beyond Macon County, Turnham expects numerous opportunities for spinoff jobs and investments, at suppliers and support businesses connected to the aerospace industry. And then there are the retail, lodging, dining and other service prospects that naturally come with a large industrial project. Turnham said Macon County has not had a major manufacturing project of this scope since Hanon Systems, a Tier 1 auto supplier to Hyundai and Kia, located in Shorter in 2003. That operation has had years of success, including five expansions. “But Leonardo is bigger, with more employees and more capital investment, and it’s our first foray into aerospace here even though we have a great aerospace history,” he said. Indeed, Moton Field is where the Tuskegee Airmen, the first African-American military pilots, trained during World War II. The combat success of these pilots, known as the “Red Tails,” led the way to the desegregation of the U.S. military in the late 1940s and provided a major spark for the Civil Rights movement. “I hope the Air Force understands that there’s not a better narrative for this T-100 project. Going to Moton Field shows diversity and inclusion, and it says so much to the American people, that everyone can participate in a project like this,” Turnham said. Tuskegee Mayor Tony Haygood said he is excited about Leonardo’s plans for the city. Haygood compared the Leonardo project and its potential ripple effect to what the VA hospital did for the community when it was originally established for African-American veterans after World War I. Now serving all veterans as the East Campus of the Central Alabama Veterans Health Care System, the Tuskegee facility is a major employer with a wide network of support businesses. “I see the same possibility here for Leonardo. There will be a large number of skilled jobs. It will also open up a lot of opportunities for surrounding areas,” he said. A similar transformational effect is expected for local schools and students. “The impact of Leonardo and T-100 on Macon County Schools would be monumental, life-changing and energizing,” said Dr. Jacqueline Brooks, the system’s superintendent. The project would allow the system to make its STEM programs more robust and create a feeder pipeline from kindergarten through college, partnering with Tuskegee University, in programs such as robotics, drone technology and more. Turnham said the cooperative nature of the project has been remarkable. That includes Alabama’s political leadership, the Alabama Department of Commerce, city and county governments, local chambers of commerce, economic development organizations, many alumni groups at Tuskegee University and even ministers across the area who held a prayer service for the success of the project. Recruiters also have touted the clout of the engineering programs at Tuskegee University and Auburn University, as well as the community colleges in the region. “We want our Tuskegee University engineering students to have something on the other end of their education. We want them to stay, really rebuild our middle class, fill vacancies in housing and increase the population in the school system,” Turnham said. VENEGONO, Italy — Executives of aerospace company Leonardo told an Alabama delegation touring an aircraft facility in Italy that preparations for a manufacturing operation in Tuskegee are on track to provide the T-100 next-generation jet trainer for the U.S. Air Force. Leonardo invited the Alabama team, led by Commerce Secretary Greg Canfield, to the Venegono Superiore factory for a detailed look at how the company manufactures an advanced trainer aircraft similar to the T-100 that is already in service in three countries. On Wednesday, executives of Leonardo and its partners provided the Alabama group with an update on the T-100 project, which calls for the construction of a state-of-the-art manufacturing facility with 750 workers at Moton Field, the historic home of the Tuskegee Airmen. Guido Sibona, head of industrial engineering for the Leonardo Aircraft Division, outlined a series of project milestones leading up to the beginning of initial production in Tuskegee in 2022 if the Air Force selects the T-100 to replace its fleet of aging T-38 trainers. The Air Force decision is expected in March 2018. According to this timeline, construction at the Moton Field site would begin in July 2018, with final completion of the production campus coming in 2021. Hiring for the Alabama manufacturing facility would commence near the start of 2020, with low-rate production of T-100 aircraft beginning there two years later, Sibona said. Full-scale production is expected to begin in 2023. Leonardo’s Venegono Superiore 300,000-square-meter manufacturing complex specializes in the production of military training aircraft, including the M-346, which will serve as the basis for the T-100. During a tour of the manufacturing center, Alabama officials learned how Leonardo workers produce individual aircraft components such as wings and the forward fuselage. The Alabama group also saw training aircraft in the final stages of completion at the facility. At the end of the tour, a recently completed M-346, destined for the Polish Air Force, raced down the facility’s runway and lifted off for a test flight that drew cheers from members of the Alabama delegation. Tuskegee Mayor Tony Haygood said observing the work flow in Leonardo’s manufacturing facility brought into sharper focus what Macon County officials need to do to better prepare Moton Fields’ infrastructure for the T-100 plant, and into the kind of jobs that will be needed on the manufacturing line. The project would bring production of the Air Force’s trainer jet to the site where the celebrated Tuskegee Airmen received their training. The unit of African-American pilots, known as the “Red Tails,” flew fighter planes from bases in Italy during World War II. Greg Canfield, secretary of the Alabama Department of Commerce, said the T-100 project represents a special opportunity for the company and its partners and for the regions around the airfield where the pioneering Tuskegee Airmen received their training. “It’s really an opportunity to rekindle history in an area of our state that is known for breaking new ground and for breaking the color barrier, while setting high standards for performance,” Secretary Canfield said. 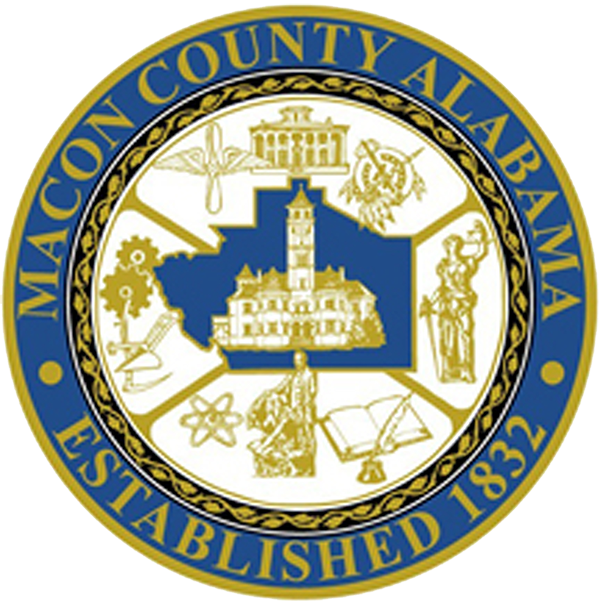 Steve Pelham, chief of staff to Alabama Governor Kay Ivey, said he was pleased to represent the governor and participate along with community leaders from Macon county in this economic develop trip to visit with leadership of Leonardo. “Alabama has a rich history with the aviation industry and continues to be a global leader. As Alabama’s chief economic developer, the governor is very supportive of the potential partnership with Leonardo and has pledged the state’s full support if they are selected,” Pelham said. “Creating new business investment such as Leonardo’s and creating 21st century jobs for Alabamians continues to be the governor’s highest priority,” he added. At the conclusion of the tour, Leonardo’s Sibona presented Pelham with a model of a T-100 aircraft. Leonardo DRS, the company’s U.S. unit, is leading the project to build the T-100 in Alabama. The M-346 base model has been selected as the jet training aircraft by the air forces of Israel, Singapore, Poland and Italy. Other partners on the project are Honeywell Aerospace, which will provide the twin F124 turbofan engines for the T-100; and CAE, which will provide a sophisticated integrated training system for the aircraft. The Venegono Superiore complex, which employs about 1,700 people, includes laboratories and a center for structural tests, a wind tunnel, and an airport for flight testing. It also specializes in the production of nacelles, the aerodynamic coverings of aircraft engines. Workers at the production site have built more than 7,000 aircraft, including about 2,000 trainers that have been sold to over 40 countries. The Alabama Department of Commerce has been pursuing the company’s jet training aircraft project since 2010. TUSKEGEE, Alabama – Italian ambassador Armando Varricchio and Leonardo DRS Chief Executive William Lynn III on Monday visited the historic home of the Tuskegee Airmen, where the aerospace company wants to manufacture the U.S. Air Force’s next-generation trainer aircraft. If Leonardo’s T-100 jet trainer is selected by the Air Force, the company plans to build a manufacturing facility at Moton Field, where the celebrated Tuskegee Airmen trained before being deployed to Italy in World War II. The project will create 750 direct jobs in Tuskegee. Ambassador Varricchio said he was impressed by the community’s eagerness to see the T-100 project become a reality. “I can tell you that is my first visit here, but it will not be my last,” he said during a lunch with community leaders. “I will spare no effort because we want Tuskegee to be not just a place of memory but a place of the future. With an Air Force decision expected in the summer, Lynn said Leonardo DRS is prepared to launch the T-100 program quickly once the aircraft is selected. The Leonardo trainer is already being used by the air forces of Israel, Poland, Singapore and Italy, and it’s complemented by a sophisticated, integrated ground-based simulation system. Last November, Leonardo officials told an Alabama delegation visiting the company’s Italian manufacturing plant that preparations for the Tuskegee facility were on track. After their Tuskegee visit, Varricchio and Lynn and a Leonardo team traveled to Montgomery for talks with Governor Kay Ivey and Commerce Secretary Greg Canfield, followed by a dinner. “He’s getting to see firsthand that Alabama is open to business,” Governor Ivey told a WSFA television reporter. Secretary Canfield has called the T-100 project a “gamechanger” for Tuskegee and Macon County. While in Tuskegee, the ambassador toured a museum dedicated the accomplishments of the Tuskegee Airmen, who were based at an airfield in Ramitelli during their stay in Italy. Read an AL.com account of the ambassador’s Alabama visit. TUSKEGEE, Alabama – Sitting in the back seat of an F-16 jet on a flight over Tuskegee, Mayor Tony Haygood looked down at Moton Field and envisioned the historic airfield’s future as the production site of the U.S. Air Force’s next jet training aircraft. Earlier this year, global aerospace company Leonardo selected Moton Field as the manufacturing site for its T-100 advanced trainer jet if the Air Force chooses the aircraft as its next-generation trainer. The project would bring 750 jobs to the airfield where the pilots of the Tuskegee Airmen received their training. Haygood, who is traveling to Italy with an Alabama delegation to tour a Leonardo aircraft factory this week, said an in-depth look at the company’s manufacturing operation will assist Macon County’s preparations for the Tuskegee facility. “This is like advance preparation that gives us an opportunity to see, hear, and understand how we need to get ready,” he said. Made In Alabama caught up with Haygood in Tuskegee before the Alabama team departed so he could share his insights on the Leonardo T-100 jet trainer project planned for Moton Field. Here’s what he said. Q: What would the Leonardo T-100 manufacturing facility mean for Tuskegee and the region? A: It would be a tremendous boost to this community. For Tuskegee, it would be the largest project we’ve had in our history. It would be a big boost for the entire economy of South Central Alabama and would impact the entire state as well. For us, it would mean high-quality jobs, and it would trigger a revitalization of our entire economy. Q: Can the area provide the workforce for the Leonardo T-100 facility? A: We can provide a quality workforce, and we will have assistance from the state. Go back to the Tuskegee Airmen. People didn’t think they could fly advanced aircraft, but given the opportunity and the training, they not only flew, they excelled. It’s really the same story today. Give people the opportunity, give them the support, and we can develop the workforce and the expertise that is needed. Q: You’ve met with the Leonardo team several times. What is your impression of the company? A: They’re very sharp, very focused. They’ve done their homework in terms of providing the Air Force with a product at a competitive price, and they understand the challenges that are before us as we make this bid. They have a quality trainer jet that can compete against anyone else’s. They’ve analyzed this area and came here several times to look at what needs to be done here, what we had to offer, and what makes this a good site. Since they made their decision in favor of Tuskegee, they’ve been a great partner. Q: Does the T-100 project have the backing of the community in Tuskegee? A: The community has really stepped up to embrace this project. They realize there are things we’ve got to do to get ready, and they’re just asking what they can do. Every part of this community is excited about this opportunity. It’s not just excitement; they’ve expressed a willingness to do what needs to be done. The entire community has responded, and we’re doing a number of things to get ready. Q: One of the interesting things about this project is the historical link with the Tuskegee Airmen, who flew missions during World War II from bases in Italy. Do you feel the connection? A: It’s like reaching back to the future. You’re going back to the foundation laid by the Tuskegee Airmen, and the good relationship they had with the Italians while based at the airfield in Ramitelli. The positive exchange they had back then with the Italians has come full circle to impact us today. They’re coming back to help us launch a whole new era. It’s a continuation of the Tuskegee Airmen story, which is powerful in itself, and it’s bringing us to a new level.